Meet the Driver: John Murphy - Australian Wine Tour Co. In our last ‘Meet the Driver’ post we caught up with long-term tourism expert and part-time wine tour guide, John O’Donnell, and this month, we’ll be introducing our other resident John, John Murphy. Following in his family’s footsteps, John, AKA Spud, grew up surrounded by people who were passionate about the wine industry, with his father working for the company that was indirectly responsible for the development of the Stelvin screw cap and bag that’s used in box packaging, as well as the Vinofill bottling system. Given his father’s line of work, it’s not surprising that John developed his own love for Australia’s rich viticultural history. Over the course of his career, John has performed professionally in theatre restaurants and operated various tourism businesses, while also holding office in Australian tourism associations. Back in 2008, John started getting involved with the Australian Wine Tour Company, heading out on tours of the Yarra Valley with our wine-loving customers. However, it wasn’t until after the Black Saturday fires of 2009 that John’s friendly face started popping up on our tour buses on a more regular basis. Want to know more about our beloved driver, John? Check out the rest of his interview below! If You Had to Pick One Thing, What Would You Say is the Best Part of Your Job? Do You Have a Favourite Destination in the Yarra Valley? What do You Find the Most Interesting About the Yarra Valley and its Vineyards? 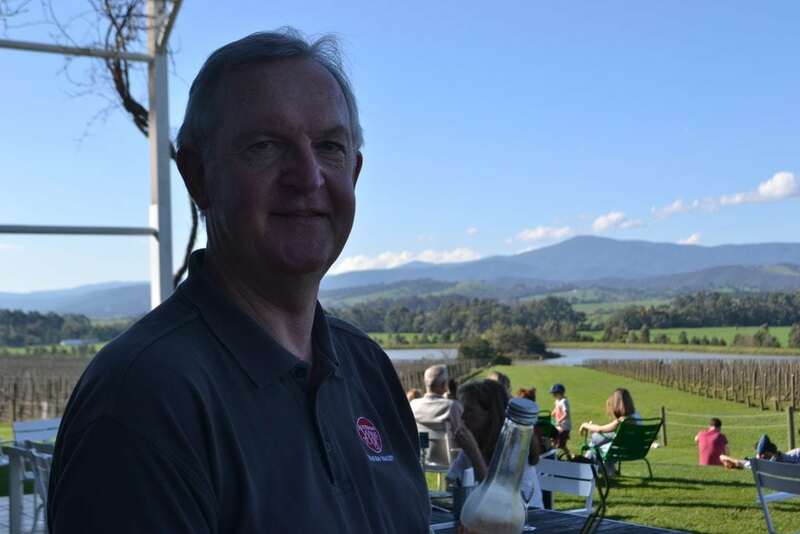 If you want to learn more about John’s love of the Pinot Noir and the Yarra Valley, or would like to join him for a day of food, wine and exploration, ask us about our Yarra Valley Day Tours today!